How Can the Dance World Nurture More Effective Artistic Directors? From the outside, it seemed like the worst of New York City Ballet's problems were behind them last winter, when ballet master in chief Peter Martins retired amid accusations of abuse and sexual harassment, and an internal investigation did not substantiate those claims. But further troubles were revealed in August when a scandal broke that led to dancer Chase Finlay's abrupt resignation and the firing of fellow principals Amar Ramasar and Zachary Catazaro. All three were accused of "inappropriate communications" and violating "norms of conduct." The artistic director sets the tone for a dance company and leads by example. But regardless of whether Martins, and George Balanchine before him, established a healthy organization, the issues at NYCB bespeak an industry-wide problem, says Jawole Willa Jo Zollar, founding artistic director of Urban Bush Women. "From New York City Ballet to emerging artists, we've just done what's been handed down," she observes. "That has not necessarily led to great practices." What does it take to direct a dance company ethically and effectively in the 21st century? "Oftentimes people get put into this position just because they were a star performer," says Sacramento Ballet artistic director Amy Seiwert. But leading a healthy, thriving dance company requires a lot more than charisma. Directors also need everything from business savvy to a commitment to nurturing their artists. So how can the dance world be more deliberate about shaping future leaders—and how can aspiring directors prepare themselves to succeed? 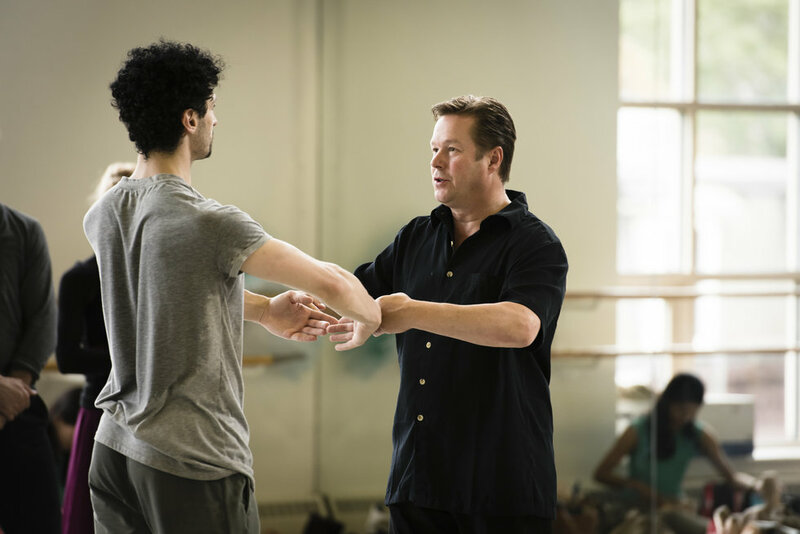 "When you get to share with your audiences some work of art that you cherish, you can change lives," says Boston Ballet artistic director Mikko Nissinen. "That is the single reason I do what I'm doing." But even though the title suggests that an AD's focus is on art, Nissinen says that "your job description is to do whatever it takes to get the job done." On any given day, Nissinen might give class, schmooze with donors, analyze the budget, attend a board meeting, plan rep, approve photos, review promotional materials, negotiate contracts, brainstorm on marketing, resolve conflicts, give a speech and soothe stressed-out dancers. ("Sometimes, 30 percent of the job is being a shrink," he says.) And if a company has a school, as BB does, teaching and recital management could also be expected. "The job doesn't stop," says Marc Brew, who's in his second year as artistic director of AXIS Dance Company, where his to-do list also encompasses AXIS' extensive education, outreach and workshop components, plus choreographing new works. "It's finding that balance of me being artistically fulfilled, but also needing to fulfill the company's obligations—within the financial constraints." Indeed, the fundraising is endless, especially in the face of challenges like the aftermath of the 2008 recession. "We have to raise crazy amounts of money just to keep the doors open," Nissinen says of BB's $37 million annual budget. "It takes way more time than anybody can imagine." Nissinen and Brew joined companies in relatively good financial standing, but some ADs are responsible for lifting a troubled company out of debt. When Seiwert took over Sacramento Ballet in July, it was "at least $250,000" in arrears. "We have to look at the long term, how to get out of that," she says. Financial literacy is crucial to success. "At my first finance committee meeting they said, 'Here's the budget. What are you going to cut?' 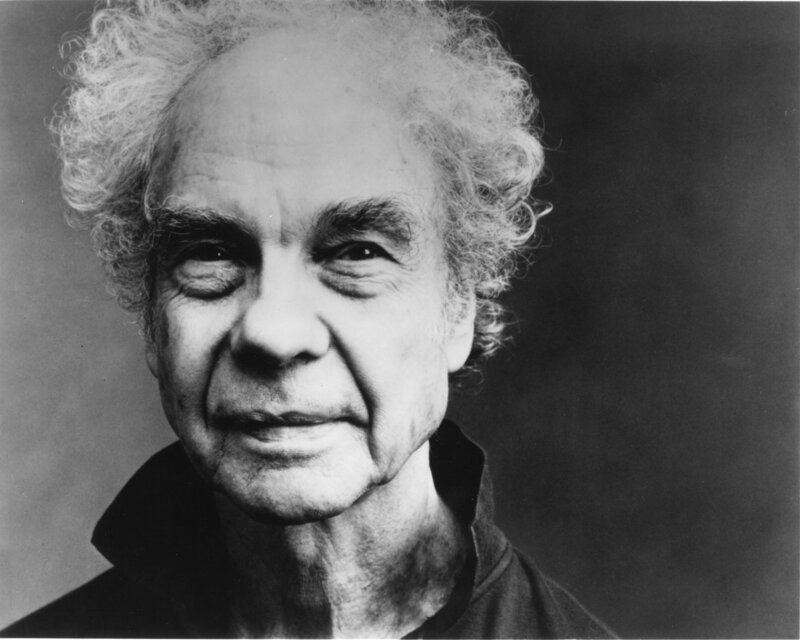 " recalls Paul Vasterling, Nashville Ballet artistic director since 1998. "I'd never seen a budget before—it was like looking at Greek. I wish I'd been better about learning about finance in my education." Raising money is as much about people skills as it is about crunching numbers. The AD generates enthusiasm for the company's vision by giving speeches and networking, and can be involved in the "ask"—direct requests for significant donations from corporations or individuals—and grant writing. "They don't give you very many sentences on a grant application," says AXIS board president Jeanie Bunker, "and if you don't articulate it well, you might not get the grant." Most large companies will have an executive director who is ultimately in charge of financial decisions, but the AD needs to be an active partner. Otherwise, says Vasterling, "you've basically given up your control and your knowledge of what's going to happen." Some new directors, like Amy Seiwert, are tasked with the challenge of getting their new companies out of debt. Photo by Goodman, courtesy Seiwert. No matter how stressful things get, the AD has to maintain decorum; set high expectations for company conduct, appropriate language, open communications and sexual harassment policies; and abide by labor laws stipulating fair wages and working hours. "You have to be very responsible for what you say and how you act," Nissinen says. "You have to protect the organization." Dancers and staff also need to feel supported by their AD in order to do their best work. "It's all about people," says Vasterling. An admitted micromanager, he had to learn the communication skills, including active listening, that engender loyalty and bring the company together as a team. During his first few years, he says, "the administrative staff were frightened of me because I was like, 'Why are we discussing this? You just need to do it.' In the studio, I was used to people just doing what I told them to do." He went through executive coaching—and some soul-searching—to develop a more respectful, open-door style of management. "Hearing feedback and not getting defensive is hard, but it's also really helpful," he says. "The biggest lesson was learning to let people do their thing, and giving them the opportunity to fail or succeed." Nissinen hopes to one day offer intensives or retreats for dancers interesting in becoming artistic directors. Photo by Liza Voll, courtesy Boston Ballet. In the corporate world, business schools and executive mentoring prepare candidates for leadership. But outside of arts management degrees, the dance world has little codified training for aspiring ADs. Hands-on learning with skilled mentors can help bridge the gap. Brew shadowed Scottish Dance Theatre's then-artistic director Janet Smith for three months and received mentoring from choreographer Wayne McGregor. 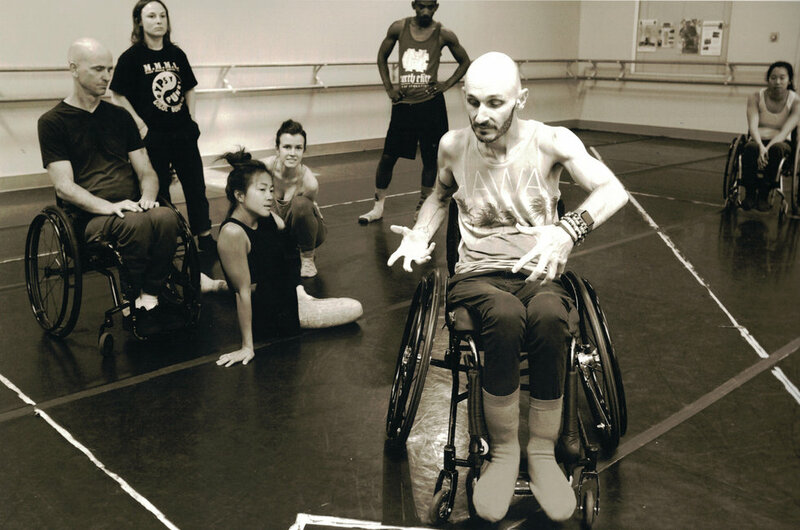 "I got to learn the functionality of every day, not in the studio, but on grants, on building new programs, connecting with other artists, and how to manage a team and be a positive leader," says Brew, who became SDT's associate artistic director. While still a principal dancer at San Francisco Ballet, the Finnish-born Nissinen improved his English and his presentation skills by volunteering to give lectures to the company's volunteer groups and at local colleges. Today, he invites dancers who are interested in learning about his responsibilities as artistic director to shadow him for a week. What he'd love is to be able to offer multiday intensives or retreats with speakers and workshops for dancers interested in going into leadership roles. Zollar cautions ADs to not give up their power to any administrator, but to be a real partner in the business side of the company, too. Photo courtesy Urban Bush Women. Basic courses in accounting and budgeting, public speaking, nonprofit management and marketing will stand aspiring ADs in good stead. "You're gonna have to be a partner in the business," says Zollar, who faced a crisis of her own when UBW was nearly insolvent in 1999. "Don't give away your power to any administrator." 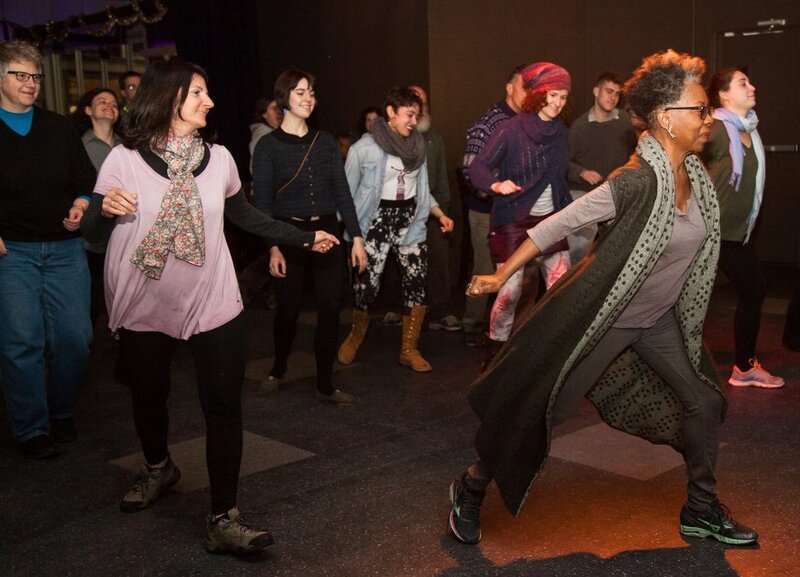 Today, she encourages UBW artists to explore and embrace many roles within dance, such as teaching, producing and connecting with communities. "How do we use the assets that the dancers bring to the organization," she says, "and how do we build those assets and strengthen everybody?" Until more training becomes available, dancers who want to become ADs have to be creative. "We're artists, we're good at creative problem-solving," Seiwert says. "You know what you want to do—how can you make it happen?"